The Court of Appeal in Re W (A Child)  EWCA Civ 1140 has granted a highly unusual remedy, ordering that passages be excised from a High Court judgment. "... Redaction from the judgment must follow... I make it plain that the effect of any change in the content of the judge’s judgment that is now made as a result of the decision of this court is not simply to remove words from a judgment that is to be published; the effect is to set aside the judge’s findings on those matters so that those findings no longer stand or have any validity for any purpose. The effect is to be as if those findings, or potential findings, had never been made in any form by the judge." So what prompted this unusual outcome? The "extensive" judgment under appeal was given by a circuit judge, sitting as a Deputy High Court judge, within ongoing care proceedings relating to a number of children. It was a fact-finding judgment concerning allegations of sexual abuse made against various family members by “C”, an older sibling of the children who were the subject of the proceedings. The judge found that none of C's allegations were proved, and in reaching that conclusion he was critical of a range of professionals who were involved with C during the period in which C's apparent account of sexual abuse developed. In the judgment, the judge included "a range of criticisms and findings as to the actions of the local authority, the wider group of professionals involved and, in particular, an individual social worker and an individual police officer, both of whom the judge proposed to name" : . Two professionals who were heavily criticised by the judge were a social worker and police officer. He found that they, together with a foster carer and others, were involved in a joint enterprise to obtain evidence to prove the sexual abuse allegations irrespective of any underlying truth and irrespective of the relevant professional guidelines. The social worker was found to be the principal instigator of this joint enterprise and had drawn the other professionals in. The judge also found that both the social worker and the police officer had lied to the court with respect to an important aspect of the child sexual abuse investigation; and that they had subjected C to a high level of emotional abuse over a sustained period as a result of their professional interaction with her. There were three appellants: the local authority, the police officer and the social worker. None of them were seeking to challenge the judge's findings on the sexual abuse allegations themselves, nor to challenge any particular order made. None of them were even parties to the proceedings - they were witnesses only - which on its face gave them no right to appeal (Matrimonial and Family Proceedings Act l984, s. 31K). However, they argued that the Human Rights Act 1998 (HRA), s. 6, obliged the Court to find a procedural route for them to appeal and that s. 31K must be interpreted in a HRA-compliant manner. The appellants argued that the prospect of them being the subject of such adverse findings was made known to them, for the very first time, when the judge gave an oral “bullet point” judgment at the conclusion of the hearing: the individual and collective adverse findings had not featured at all in the presentation of the case of any of the parties and were not raised in any manner by the judge during the hearing. In short, it was said that these highly adverse findings “came out of the blue” for the first time in the judgment. The social worker and police officer also complained that there was, they said, "no justification for the judge deploying the strong adjectives that he used in describing the scale of his findings in a judgment which, in due course, in its final form, will be made public." ‘‘For SW, Mr Zimran Samuel... has informed the court that SW who, following these proceedings went to work for a different local authority, has been suspended as a consequence of the judge’s findings and has been unable to work for any other authority since that time... Mr Samuel made a powerful case, based upon the detailed criticisms made of SW in the judgment and the impact that these have had upon SW’s health and employment, for holding that her Art 8 rights to private life have already been substantially compromised by the criticisms made of her in the judge’s judgment..."
To similar effect, the Court accepted the far-reaching consequences of the judgment - actual and potential - for the police officer: . There was, they found, an interference with the Article 8 rights of both witnesses here. The Court then turned to the question of what the procedural requirements of Article 8 ECHR are. Drawing upon domestic and Strasbourg case law, they found that, whilst Article 8 contains no explicit procedural requirements, the decision-making process involved in measures which interfere with Article 8 rights must be fair and such as to ensure due respect to the important interests at stake. At its core, fairness requires the individual who would be affected by a decision to have the right to know of and address the matters that might be held against him before the decision-maker makes his decision (R v Secretary of State for the Home Department, ex parte Hickey (No 2)). Here, however, the procedure had been fundamentally unfair - at : "manifestly unfair to a degree which wholly failed to meet the basic requirements of fairness established under Article 8 and/or common law. In short, the case that the judge came to find proved against SW and PO fell entirely outside the issues that were properly before the court in the proceedings and had been fairly litigated during the extensive hearing, the matters of potential adverse criticism had not been mentioned at all during the hearing by any party or by the judge, they had certainly never been 'put' to SW or PO and the judge did not raise them even after the evidence had closed and he was hearing submissions." In the circumstances, the only effective remedy, the Court found, to "correct the effect of the unfairness that has occurred" was to redact the offending passages from the first instance judgment. This is a highly unusual remedy. Its grant raises eyebrows amongst media lawyers, given the long-standing reluctance to grant injunctions or restraining orders to stop the publication of defamatory or allegedly defamatory material, and the need for those who seek such a remedy to demonstrate that, without such an Order, they would suffer injury which a judicial correction and / or an award of damages cannot adequately compensate. Concerns have also been raised regarding the potential impact of this case upon the 'open justice' principle and its operation in the family courts, as the professional witnesses in question remain anonymous, the lower court judgment is not available, and even the identity of judge himself who came under fire remains unknown (to the press, to the public, and to future litigants who may appear before him). None of these matters appear to have been raised during submissions; nor were they analysed in the judgments. 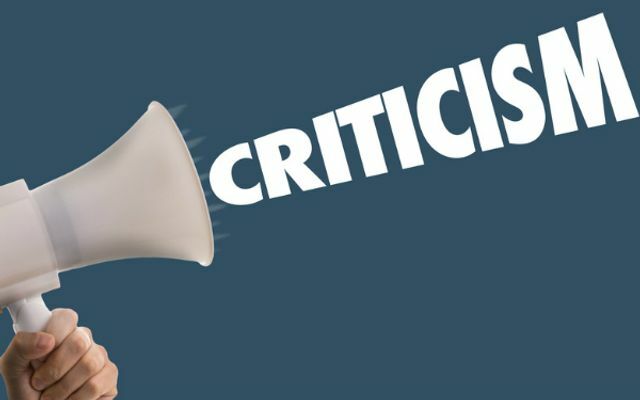 Some commentators have criticised the "erasing" of unfounded criticisms about professional witnesses from the judgment, when unfounded criticisms of parents remain untouched despite findings on appeal. However, it would in my view be wrong to interpret this case as indicating a sea-change in how the courts will deal with judicial criticisms of professional witnesses in family proceedings. Whilst it is a ground-breaking case, the Court of Appeal acknowledged that it is a novel one. Lord Justice McFarlane was at pains to emphasise that this was a "rare" or "vanishingly rare" case (at  and ), a "particular, bespoke response to a highly unusual combination" of factors: the judge finding himself driven to make highly critical findings against professional witnesses, despite such findings playing no part in the case presented by any party to the proceedings, and where the judge had failed to raise the matters of criticism himself at any stage prior to the judgment. Such a combination of factors is unlikely to recur, certainly not with any regularity. A social worker has won an appeal against “intrinsically unfair” criticism from a judge that caused her to be suspended from her job. Together with a local authority and police officer, the social worker appealed against being named in a court judgment that included “a range of criticisms and findings” against them. The Court of Appeal found that the original court’s findings were the “result of a wholly unfair process” and “the consequences for those who are criticised in those findings are both real and significant”. Appeal court orders judge’s unfair criticism of social worker to be erased https://t.co/HEskjqX1M5 Interesting! https://t.co/RZJX2PfNj9 Interesting in @CommunityCare It is legitimate to ask what the consequences for the Judge will be?